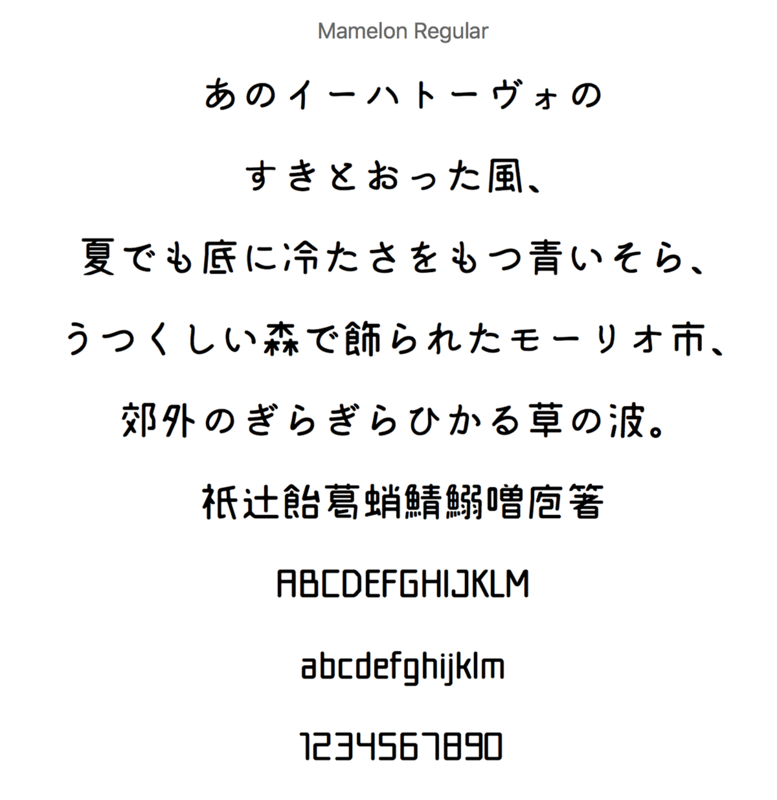 Mamelon (マメロン) is a free Japanese font with rounded edge design, created by the designer who brought you “Makinas“. The kanji characters were modified based on Makinas kanji, by making it rounded and then pair up with self-made kana characters. 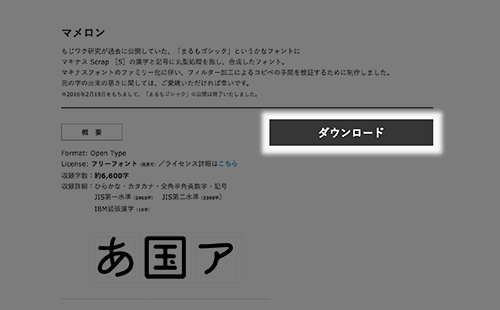 It has a total of 6600 glyphs including large collection of kanji characters, making this font a useful font to apply on many different design needs. *To download, visit the page above, and scroll down to locate the big grey download button as highlighted below. just want to confirm that this font is FREE for COMMERCIAL USE. Yes, it’s free for commercial use.